Lying on the northern bank of the River Thames, Twickenham is a leafy suburb in the London Borough of Richmond upon Thames. With a population of over 50,000 and fabulous access to Central London, the property market in Twickenham is booming. 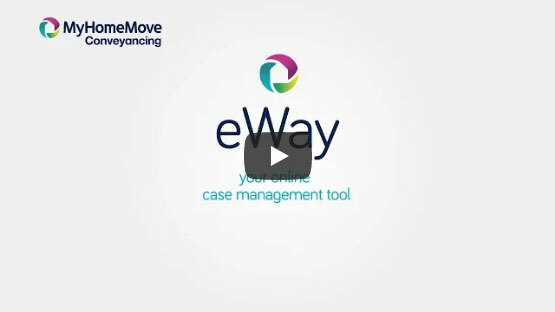 At My Home Move Conveyancing we’ve been developing our knowledge of markets like this since 2001, allowing us to bring our clients in Twickenham a leading, fixed fee conveyancing service. When buying or selling property in Twickenham, you’ll need the services of property lawyers to help you complete the necessary legal work. My Home Move Conveyancing offers an award winning level of customer service, which makes moving home easier for you. We combine an innovative use of technology with unrivalled experience and a positive, passionate approach to our work. Our conveyancing service comes for a fixed fee, so you can budget for exactly how much you’re going to pay from the outset. There are no extra hidden charges to worry about when we act as your Twickenham conveyancers, and we operate a ‘no completion – no fee’ policy for total peace of mind. We’ll assign you a dedicated conveyancer who’ll take care of your case from start to finish, providing you with a consistent point of contact and regular progress updates. You’ll also have access to your account online as part of our market-leading service, allowing you to check on your move status whenever you want. At My Home Move Conveyancing we’re proud to supply our conveyancing services in Twickenham to customers looking for a variety of homes across the area, including in spots by the River Thames, around Twickenham Green and in Strawberry Hill. The average house price in Richmond upon Thames is £664,035, while the overall average sale price in Twickenham during the last year was £649,926. Most sales in this period involved flats, which went for an average of £482,924, while terraced properties fetched £696,141 and semis sold for £814,368. Evidence points to the local area having been settled as far back as Neolithic times, with the modern town’s name first appearing in the eighth century as Tuiccanham. Formerly a part of Middlesex before the county was split up into a number of London boroughs, Twickenham is famous for being the home of English rugby union. With a capacity of over 80,000, Twickenham Stadium is the second largest arena in the UK after Wembley Stadium, and has hosted concerts by global music stars as well as international rugby matches and the 2015 Rugby World Cup Final. Twickenham is a great place to live if you work in London, with trains available to the capital’s Waterloo station that take less than half an hour. The A316 passes through the north of the area on its way to the M3 motorway, which in turn can be used to get to the M25 ring road. When it’s time to go on holiday, Heathrow Airport is conveniently located just six miles from Twickenham. There are some excellent schools in the area that you can choose to send your children to, with highly rated primary schools including St Mary’s CofE, Bishop Perrin CofE and St James’ RC Primary. Twickenham Academy is a mixed secondary school which looks after pupils aged from 11 to 18. If you’re looking for higher education, London’s wide range of universities is on the doorstep. All properties in Twickenham will fall within one of the following council tax bands.